A fast developing major tourism hub, the Andaman and Nicobar Islands are one of the seven Union Territories of India and are a group of islands situated between the Bay of Bengal and the Andaman Sea. Of the total of 572 islands comprising this territory, which is divided into two groups, the Andaman Islands and the Nicobar Islands, only 37 are inhabited. With a tropical rain forest climate the islands are lush with plenty of flora and rich with diverse wildlife. But what Andaman and Nicobar Islands are really sought out for are the numerous exotic looking beaches and picturesque islands. One can look forward to some idyllic setting, breathtaking views of the sunrise and sunset and exciting adventure sport activities for those seeking some thrill on these beaches. 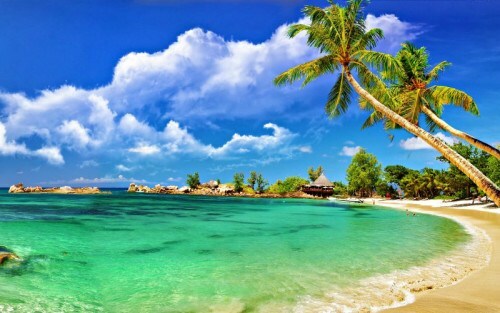 Tourists wishing to visit these beautiful beaches on the various islands, have to first arrive in Port Blair, the capital of this Union Territory and then proceed to their exact location via boats or helicopters, whichever available. Considered one of the most beautiful beaches of Asia, the Radhanagar beach is a stunning stretch of white sand and greenish-blue sea. Situated on Havelock Island, this beach has been ranked as one of the top 10 beaches of Asia and among the best beaches in the world by TIME magazine. Stretching across almost 2 km, the beach is bordered with beautiful lush green trees, providing a wonderful haven for tourists to just lie back and relax and take in the beauty and solitude of this wonderful destination. Fortunately the beach does not get overcrowded and has remained relatively unspoilt as there are no adventure water sport activities on this beach. Besides snorkeling, scuba diving and game fishing, tourists can enjoy the abundant flora and fauna on and around the beach. The sunset at this beach creates a breathtaking visual and leaves a lasting memory with tourists. 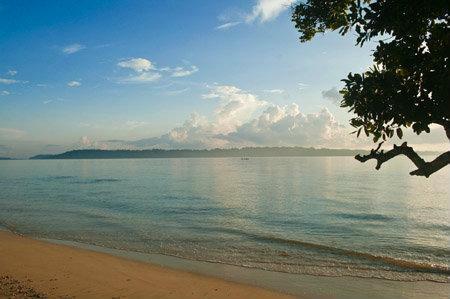 Elephant Beach is another amazing beach on Havelock Island. With wonderful coral reefs and stunning underwater marine life, this beach is also a famous hotspot for both domestic and international tourists. One can also indulge in some diving, snorkeling, swimming, kayaking, trekking and bird watching. 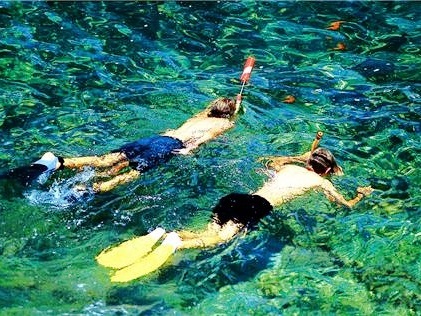 Most famous for its coral reefs, sea walking is another exciting activity that one can enjoy here. Glass bottom boats are also available to view the picturesque coral reefs. 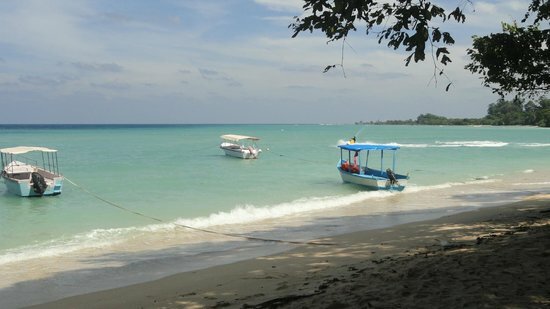 This beach can be accessed by a boat ride from Havelock Jetty or a 30 min jungle trek. 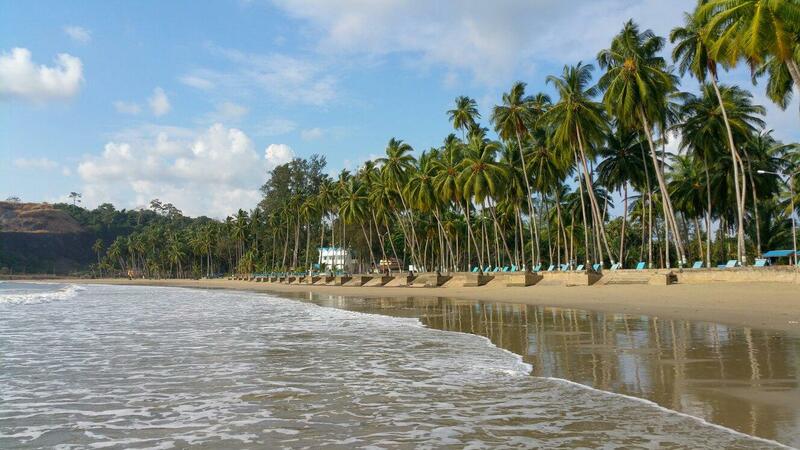 A well maintained beach in the Andaman Islands, Corbyn’s Cove is situated just 6 km from the Port Blair Central Bus Stand. This beach is bordered with refreshing green coconut palm trees which create an endearing environment along with the wonderful sea and soft sand, for visitors. As quite close to the city, the beach is well facilitated with restaurants, hotels, bars and adventure sport activities like surfing, boating, snorkeling and scuba diving. Tourists love sun-bathing and taking long leisurely walks on this beach or just enjoy the glass-bottomed boat cruises in the sea. Located on Neil Island, Bharatpur Beach offers a breathtaking view of the clear blue seas, white sandy beach, luxuriant green vegetation and colourful variety of fish. The vivid coloured coral reefs with exotic flora and marine life are another beautiful feature of this beach. The shallow, gently curving bay is ideal for swimming, especially for beginners. As this is the only beach on Neil Island with adventure water sport activities, it is highly recommended to youngsters who wish to enjoy jet ski rides, snorkeling, scuba diving etc. Tourist conveniences like changing rooms, toilets, refreshment stalls selling snacks, coconuts etc. are also available here. Found at the southernmost tip of Andaman Islands, about 30 km from Port Blair, Chidiyatapu Beach is well known for its abundant bird life. With over 50 varieties of birds, especially witnessed during dawn and dusk, this beach creates an exquisite visual with the trees against the backdrop of the setting sun. Also called ‘Nightfall Point’, Bird Island and ‘Flying Creature Island’, this is one of the most popular beaches on the island. 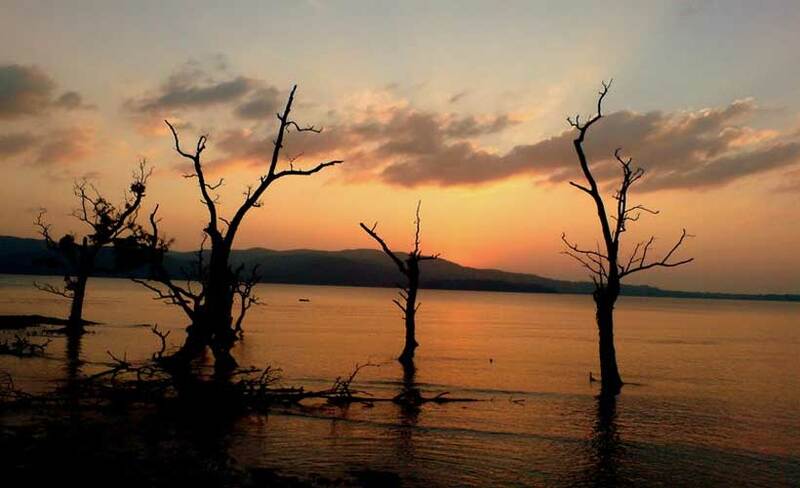 Part of a small village called ‘Chidiya Tapu’, the thriving green mangroves, sunset views and the wonderful scenery are a great attraction for tourists looking for just rejuvenating greenery and relaxation. The beautiful coral reefs lure visitors to indulge in snorkeling and swimming, but one should beware of salt-water crocodiles. This beach is also the start-point of an exciting trekking trail which passes through a forest and lovely coast line to reach Black Mountain (Munda Pahad). Located at a distance of just 38 kms from Port Blair on Havelock Island, Vijayanagar Beach is the perfect place for one to enjoy some swimming and beautiful aquatic life by indulging in some watersport activities. As the water here is shallow and very clean, swimming and surfing are ideal sports to undertake at this beach. The beautiful surrounding landscape, the Mahua vegetation and serene atmosphere make this another favourite with visitors to this island. Boating and nature photography are other activities one can pursue here.